JKO Collection is not only involved in the branding and selling of our products that present a positive image, but we are very pleased regarding our involvement in community projects. To this point, we sponsored a community clean-up day in the City of Altamonte Springs. 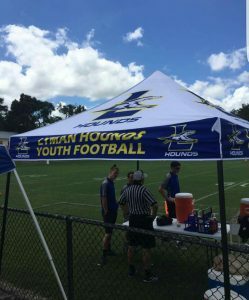 JKO also initiated and participated in a Kid’s Car Wash.
We were also privileged to purchase a tent for the youth that is used for sport events at their local school. 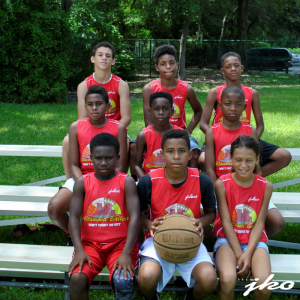 Most recently, we purchased jerseys for the “Altamonte Ballers” with each child’s name imprinted on the back. We love our youth and we enjoy giving back. As we have learned that cursive handwriting is almost a thing of the past in our public schools. In our efforts to keep cursive writing alive and well for every JKO apparel purchase a cursive handwriting book will be donated to a public school student. This is our way of giving back, we encourage all to Just Keep On. JKO stands for Just Keep On. Our name was created to inspire people from all levels of society to succeed by living, dreaming, and achieving one’s intended goals. Our aim is to present positive images in wearable apparel. JKO offers apparel for both men and women for comfort and style. A variety of traditional, sporty, and casual wear are available. Shop with us now – and you will shop with us again. Just Keep On. We ship our products through USPS Priority Mail/First Class Mail. Please allow up to 2 days for processing your order. Please allow 3 to 7 business days upon product arrival. We want you to satisfied with your purchase JKO Collection purchase. If that is not the case, we would gladly accept your merchandise for a refund or exchange. Please allow up to 2 weeks for refund or exchange. Let us know where to send the PROMO Code, and we'll have it in your inbox in no time!